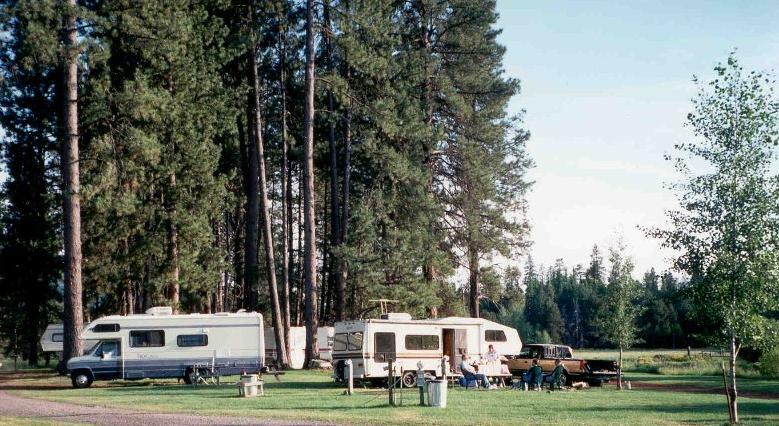 Discount RV camping clubs and associations offer benefits that many RV campers can utilize. Offering discounted stays in associate RV parks and campgrounds, as well as related services such as RV Insurance, RV Road Service, and RV Continued Service Plans, these RV camping clubs and associations have a lot to offer. Compare clubs carefully as no club is right for everyone. Not mentioned to this point are camping discounts available for public campgrounds. Federal campgrounds almost always offer a 50% discount to people holding the federal Golden Age Passport available at national parks and monuments, and select BLM and USDA Forest Service offices. Some state park systems honor the Golden Age Passport. Many state park systems also offer state residents discounts for seniors, and annual passes are usually available to reduce costs. Another way to save a few bucks camping is to watch for public free days at federal, state, and even community parks. USACE/COE (corps of Engineers) has fee free days every year, as do most states parks systems. You will have to pay attention to local news sources to learn of these free camping dates in most cases. Boondockers Welcome – Be My Guest RV Parking is a growing network of private property owners that allow free overnight boondocking. The annual fee is reduced if you are willing to host other boondockers! Direct email access to hosts and reviews of locations, multi-year membership discounts and more. Their website has all the details. Harvest Hosts offers the first program of its kind in North America to offer free overnight RV camping at wineries and farms. Farmers and vintners invite self-contained RVers (all motorhomes, fifth-wheels and trailers) to visit their vineyards, farms and orchards and to stay overnight free of charge. Membership in Harvest Hosts is $30.00 for a 12 month membership. Visit their web site for location maps and membership information. A new discount RV camping resource is Rover Pass. Camping discounts available with membership. Happy Camper Camping Guide – Filled full of helpful information such as pricing, directions, amenities and pet information for each Happy Camper Certified Campground. Downloadable, personalized member ID Card. Sign up today and use your membership immediately! FREE Online Trip Planner. Shows you all Happy Camper Discount Camping Parks along your route – emailed to you or printed with your personalized trip itinerary. FREE Community at the Happy Camper website. Open to all RVers, where you can ask RV veterans for help, learn about technical issues from our friends at RV Education 101, chat with other members, give input to our member RV parks – and much more! FREE Daily RV News feed customized to your individual interest, delivered to our website each day. MONEY BACK GUARANTEE – if you don't love it, you have a full NINETY DAYS to send it back, and get a FULL REFUND of the purchase price! The Good Sam Club is the nations largest RV camping and owners organization with over 1 million members. Their yearly membership fee of $19 gets you a 10% RV camping discount at over 1700 affiliated parks, as well as magazine subscription, parts and service discounts, and other membership benefits. We feel Good Sam offers its members a great value with discount RV camping and member services. The best known RV park association is KOA, and with campgrounds in every state, you should have no trouble finding a convenient campground. Their website is easy to navigate, and you can make reservations on line. Get a free KOA Directory/road atlas, free issue of camping life and 10% off daily registrations with the KOA Value Kard. Recreation USA – RV Camping received the following response to our query about Recreation USA…We are a family owned business, in our 12th year. Our headquarters are at our Eagle's Landing RV Park, 35 miles E of Pensacola Florida. We have been full time RVing for over 18 years and work very hard to maintain a cost effective travel choice with our nationwide system. For just $44.00 for a one year membership, or $34.00 for a 6 month membership, you can camp as low as $10.00 a day instead of the campground's standard rate, at destination areas and highway close locations. All the information you need is accessible and printable online! Have fun planning your travels…from home or your RV…totally from our web site! All states have maps showing park locations, and all parks have a full page of information with a link to their web site, if they have one. Coast to Coast(Coast Resorts) is another large RV camping organization. Nearly 1,000 resorts and campgrounds offer secure vacation locations with amenities like swimming pools, clubhouses, and planned activities for all. Resort Parks Intlis yet another 50% off camping club. It is divided into two segments, one of RV resorts, and other called Enjoy America. Editors Note – We received the following information about RV camping with Resort Parks International from one of our visitors Fred Hammer… "Their affiliate Enjoy America is 1/2 price, but the regular RPI parks operate much like C2C except that they use $8 cash instead of the travel points that C2C uses. Also — the last time I counted, there was a 46% overlap between C2C and RPI, so one might not want to belong to both." Thousand Trailsis an exclusive membership RV club. Facilities are always excellent, but limited locations may not fill every RVers needs. The "preserves" are well laid out with activities for everyone. You can find most RV parks and campgrounds on the Internet if you have patience. Woodall's has their RV campground listings available on line. If you search on the Internet for "RV parks" by city and state, you will get listings for many RV parks close to the town you wish. Be aware that many RV parks and campgrounds do not have Internet web pages.